A passionate, popular and respected educator in the Omaha Public Schools for more than 35 years, Alice Buffett inspired generations of students and fellow teachers to achieve their best. 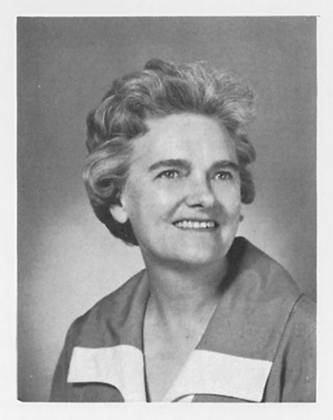 Known for her unwavering dedication to her students, Alice Buffett taught Home Economics at both Omaha Central High School and Benson High School. Today, Ms. Buffett’s legacy lives on in the Alice Buffett Outstanding Teacher Award, a program established in 1988 by businessman Warren Buffett. Alice Buffett’s love for teaching and her students was matched by her love for adventure. During her life, Ms. Buffett traveled extensively in the summer, exploring Europe, Asia and South America. Alice Buffett’s career spanned from 1935 until her retirement in 1969. She passed away in 1970.